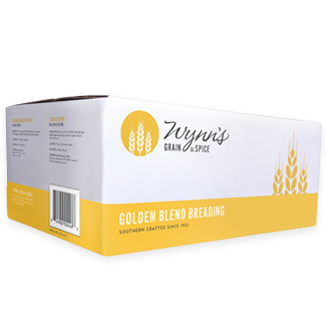 Wynn's quality breadings will be a welcome addition to your kitchen; enhancing flavors of proteins and vegetables alike. Browse all of our blends below. 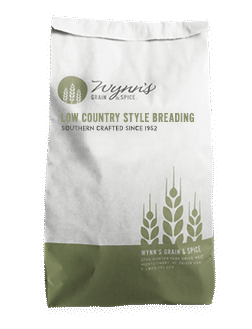 Wynn’s Grain & Spice Country Style Breading is a mild balance of flavors, offering just the right amount of spice. This is our signature blend for palates seeking out bold flavors without the heat of our spicier offerings. 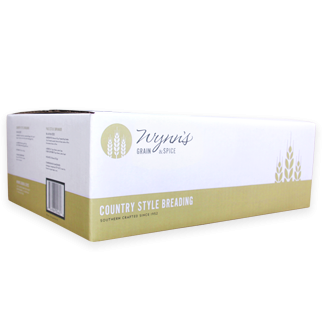 Most popular among our customers in the American Midwest, Country Style Breading is the perfect choice for crispy, tasty fried chicken with a hint of red pepper. True to our commitment to quality and taste, this blend is made with the finest ingredients. Wynn’s Grain and Spice Fiery Hot Breading brings the heat as our signature spicy blend. Most popular with customers in the American South and West, this recipe is perfect for a customer base that favors heat. Balanced out by the finest grains, our Fiery Hot Breading brings intensity to fried chicken without offending milder palates. This blend exemplifies how seriously we take our commitment to taste. A fresh, light blend that packs an extra crunch. Mild in flavor, Wynn’s Grain & Spice Golden Blend gets its name from the warm, golden brown color of the finished product it creates. Golden Blend has a yellow corn flour base, creating a visibly golden blend that packs an extra crunch. 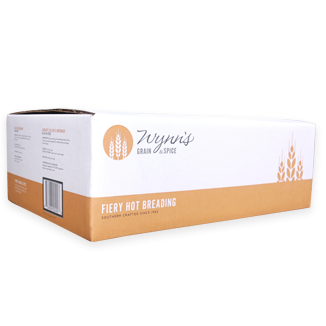 This breading is perfect for customers who are looking for a fresh, light blend. Crafted with great ingredients, this recipe underscores Wynn’s commitment to quality and taste. Our original recipe and still our most popular, Wynn’s Grain & Spice Heritage Style Breading brings us back to that Alabama kitchen where it all began. Full of intense flavor, we regularly hear that this blend “tastes like the South.” A favorite of customers nationwide looking for a subtle kick that pleases all palates, this recipe brings bold peppery notes to fried chicken. 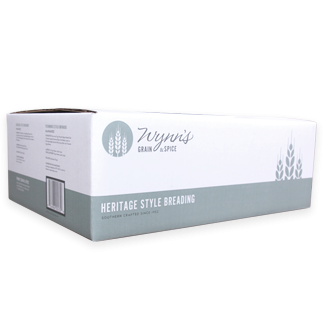 Made with the finest ingredients, Heritage Style Breading is where our commitment to quality and taste began. 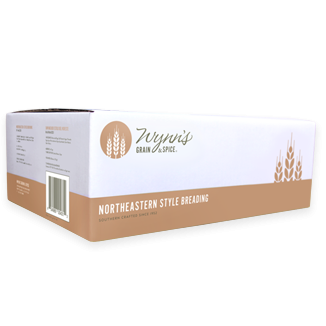 A mild, savory blend, Wynn’s Grain & Spice Northeastern Style Breading has just the right amount of spice. With hints of celery and visual black pepper specks, Northeastern Style Breading is a popular flavor profile for the discerning tastes of customers in the Northeastern region of the United States. True to the Wynn’s brand, this family recipe brings the crunch and taste your customers will love. Wynn’s Grain & Spice Pressure Fry Breading is perfect for customers using a pressure fryer. Blended specifically for pressure frying, our recipe brings the same pepper notes as our Heritage recipe and adds bold seasonings that enhance the flavors of tender, crisp chicken. Time-tested, this recipe remains a favorite with customers nationwide. Wynn’s Grain & Spice Seafood Breading is blended to enhance the delicate flavors of fish. A perfect consistency that adds just the right amount of crunch, customers nationwide love our Seafood Breading as a complement to our various chicken breadings. Our family recipe completes the flavor profile, bringing customers back for more. Using the best ingredients, our Seafood Breading reinforces our commitment to quality. 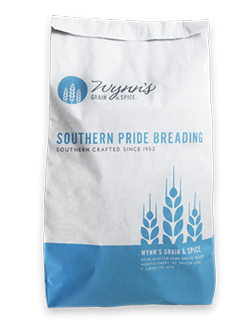 Wynn’s Grain & Spice Southern Pride Breading rings true to its name with flavors that pay homage to our Southern heritage. Designed as a 1-step breading (also known as a “single pass” process), Southern Pride is a zesty blend of garlic, red pepper and chili pepper. Time-tested, this recipe rings true to our commitment to quality and taste. 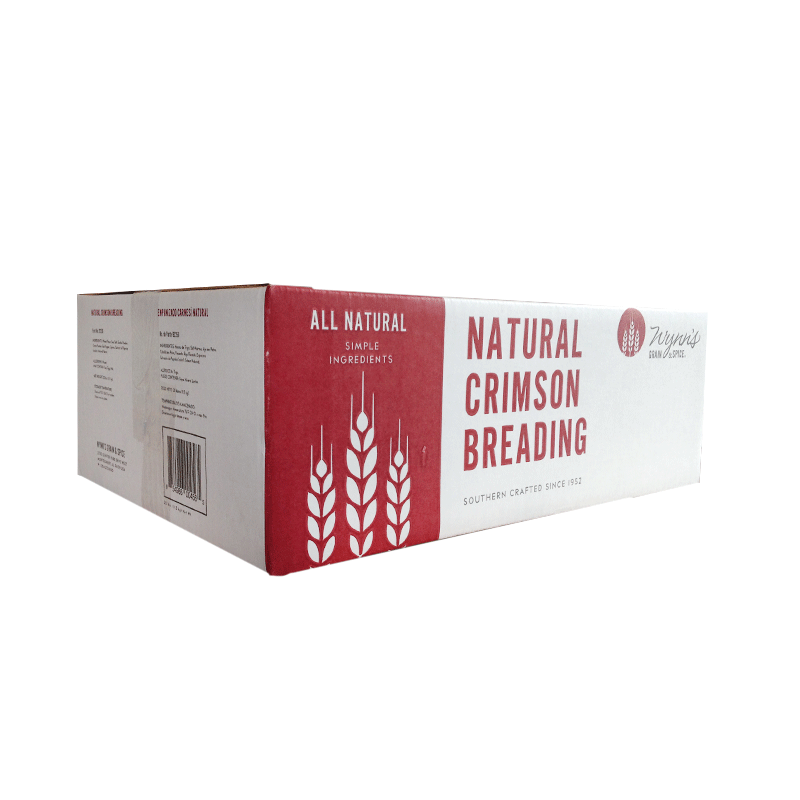 Wynn's Natural Crimson Breading is a savory blend with hints of garlic, onion, sea salt and black pepper. The crimson color of this blend comes from the inclusion of paprika, creating an appealing deep golden-brown finish. Crafted with simpler ingredients, Wynn's Natural Breadings satisfy consumer desires without sacrificing taste. Like the culinary tradition that gives this breading its name, Wynn's Low Country Style Breading is marked by the warmth of peppers and garlic. This aromatic blend is recommended for all proteins and vegetables wherever a taste of the sea-kissed South is needed.